If a group of teachers make great progress and don’t share with others, does anyone notice? Without sharing the learning that takes place in a Sprint the impact is limited. When we share the lessons we learn from our progress, both the teachers involved and the whole school benefits. With that in mind, at the end of a Learning Sprint I propose we Review, Reset and Share. As we have been progressing in our Sprints and moving to wider school adoption, one aspect that we are looking to improve is sharing the lessons we have learned from the Sprints we put in place. I have found that the teachers involved are gaining great insights into ways to improve student performance, but that often the lessons are not shared with the other staff. We simply did not think about the structures we needed to put in place to share the work with the whole school. Without sharing what we have learned the impact of the Learning Sprint is lower than it could be. Schools share students and often face similar issues and barriers to achievement. When learning in shared, teachers do not need to be involved in the formal Sprint to benefit from the findings. They can simply put in place the good practices that have been tested and evaluated by others. Luckily, there are people who have faced this issue and come up with innovative solutions. Having a space where people can post about their Learning Sprints seems to be a great way to make sure that learning is not limited to one Sprint Group. Kristie O’Neill (@ONeillKristie), an instructional leader from South West Sydney in Australia, has shared some great ways to share learning in a school. I am going to try setting up some of the Sprint Walls that she has created. Sharing the learning visually and making the learning of others visible not only shares great ideas, but I think will also encourage dialogue between teachers about what is happening in their classes. It will ensure that our priorities are clear: working to get better everyday, our students making academic progress, ensuring well-researched strategies are used, making the world open up for our students. 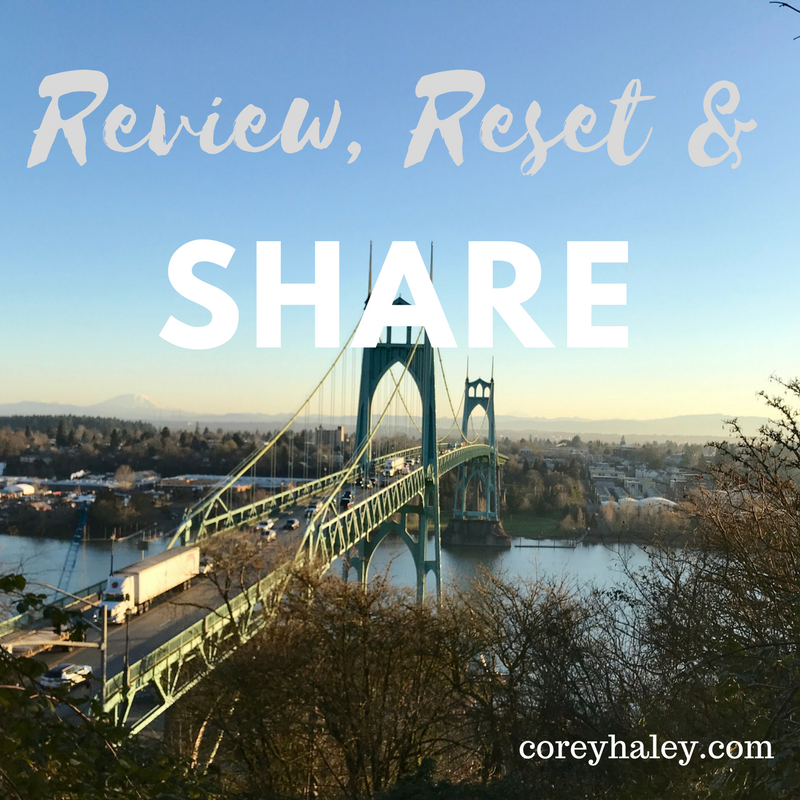 In short, at the end of a Learning Sprint, we are going to add share to the Review & Reset. This post is part of a series related to using Learning Sprints as described by Agile Schools and Dr. Simon Breakspear. The purpose of sharing these experiences is to help other school leaders in putting in place Learning Sprints by sharing triumphs and lessons learned throughout our experiment. Our learning was facilitated by the Alberta Teachers’ Association Agile Network. Our school has recently made the transition from the “Incubation” phase to larger implementation. Through this process we have learned a lot. Every so often, I take time to reflect on the learning and strides we have made with the thinking that it may help others going through the same process. By sharing, perhaps you can learn from our implementation. When I felt like we were ready to make the transition to a larger implementation at our school, I hesitated. I took another few weeks before stepping back and letting the team we had put in place operate more independently. Looking back, this was not needed. I think it is important that leaders trust their teams to take the work forward early. I was very involved through the learning process of setting up our structure for Learning Sprints and should have trusted the team to bring that forward. Seeing the work they are doing now makes me so proud. Our teachers are knocking it out of the park, and they are accomplishing this without me sitting in on every meeting. I am definitely checking in with them, asking if they need support, and offering suggestions, but I have taken the step back so that they own the work. I have learned to trust the team. At the beginning of our Learning Sprint journey we agonized about what we were going to focus on. It seems at times as if we were paralyzed by seeking the “perfect” thing to work on to improve student performance and learning. I think this is partly because we wanted to get it right, we were not loose enough to allow ourselves to make a mistake. We were gripping the wheel a little too tightly. Since then, we seem to have found our groove. The focus of our learning sprints has come much more quickly and the areas of focus have a bigger impact. One improvement that we made is to use the tools on the Agile Schools website. By using the protocols that are available, notably the “Boulder, Pebble, Sand” tool, we have been able to focus on what is important and what is achievable. Using these tools allowed to be more confidant in our own perceptions of what we need to do. We started our Learning Sprints journey with a large group. This was done on purpose to ensure that the basic elements of Learning Sprints were shared and that we developed a shared vision of what Learning Sprints looked like at our school. As we progressed, we saw the need to become smaller, more focused groups. I think this process was natural and positive. Teachers saw the needs of their students and wanted to address things that were relevant to their practice. They always had to work with at least one other person (and ideally groups of at least 3), but they were are able to break into the groups they needed to form. I loved the teachers saw the need and did what they saw would lead to the biggest impact. I think it spoke to seeing the value in the work and wanting to make it even more impactful. They were operating to make sure that this work was going to make a difference. In order to do that, we needed to let the group evolve. Just like with students, teachers get better as they practice and apply the new skills. Be aware that this happens and will happen. There will be a time when progress is slow and you may question whether the process will get easier, have faith. I saw a noticeable improvement in the ability of the people involved in our learning sprints to apply the skills we had learned. The 2 areas where I saw the biggest improvement were in deciding the focus and evaluating the sprint. I have already spoken about how we improved defining our focus above. When it came to evaluating the efficacy or our sprints, teachers became more comfortable with the different methods that they thought would give them meaningful data. We tried, and still use, different techniques such as exit slips, surveys, work samples, and conferencing. Over the past 6 months, I have seen teachers be able to evaluate whether their professional learning was making an impact on students. This is a shift from before. Not that what they were doing was or wasn’t, but now they know. Their skills improved, expect this when moving through the sprint process. Getting Learning Sprints going at a school can be daunting. By sharing these lessons learned, I hope that others can put Learning Sprints in place easier and more effectively. This way of organizing Professional Development has had a big positive impact at our school, and I believe it has the power to work well for you too.